MUNICH -- Continental said UK car demand will probably drop in the second half due to the British vote to leave the European Union, as consumers shy away from making purchases in an uncertain economic environment. The German supplier predicted a second-half slowdown in European car production, saying growth will decline to 2 percent in the full year from about a 4 percent increase in the first half. 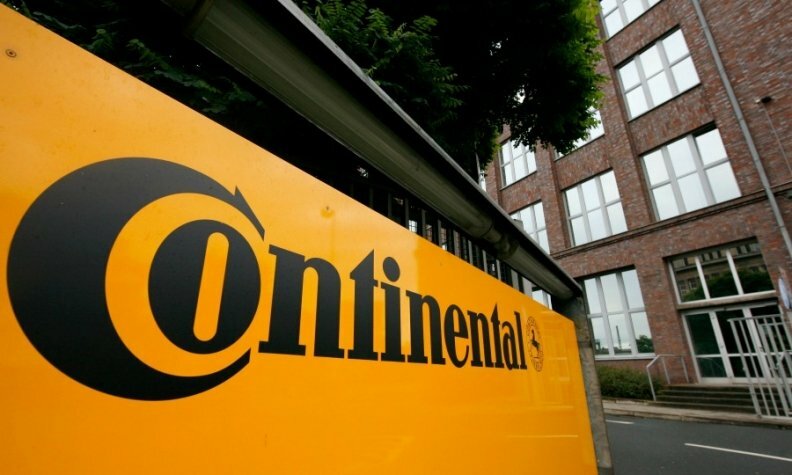 The demand deceleration will affect the UK in particular, Continental said when it presented its first half and second-quarter earnings today. "Car demand was very strong in the UK market during the first half, which we now see weakening," Chief Financial Officer Wolfgang Schaefer said. "We still expect a slight increase in demand on an annualized basis." The June Brexit vote has prompted predictions of a downturn in the U.K. economy, with the National Institute for Economic and Social Research on Wednesday forecasting a “marked” slowdown as uncertainty and a tightening of financial and credit conditions damp business investment and consumer spending. In June, new-car registrations in the UK, Europe’s second-biggest market, slid 0.8 percent, while the rate of growth for European car sales showed the weakest gain since March. “Following the Brexit vote, we anticipate declines in demand,” Continental said. BMW and Daimler, maker of Mercedes-Benz cars, have said there has been no noticeable negative impact so far on car sales in the UK. Preliminary sales for July were also as expected, BMW CEO Harald Krueger said Tuesday. Looking ahead, sales may decline 15 percent through 2018 to 2.55 million vehicles, forecaster LMC Automotive said. Continental this week raised prices for replacement tires delivered to Britain by about 6 percent to compensate for effects from the weakening pound. Business in the UK accounts for less than 4 percent of Continental sales. The supplier said adjusted earnings before interest and tax (EBIT) rose to 1.30 billion euros ($1.46 billion) in the second quarter from 1.23 billion a year earlier. Growth in the automotive business picked up in the April-to-June period, Continental said, as carmakers raised spending on emissions technology and automated driving. Continental raised its full-year profitability target on strong demand for tires. The company now aims for a 2016 adjusted operating margin of more than 11 percent, compared with 11.8 percent in 2015 and a previous forecast for around 11 percent. Continental expects currency headwinds to shave about 1 billion euros off sales this year, Schaefer said, after an impact of 564 million euros in the first half. CEO Elmar Degenhart said despite volatile market conditions, the supplier is gearing up for strong sales in the second half. "Over the remainder of the year, we expect the positive sales momentum to continue in line with our outlook for the fiscal year," he said. Global car production may increase 1.5 percent this year, Continental said. The pace of growth in China may slow slightly in the July-to-December period from a level of 6 percent in the first half while output the U.S. may fall slightly, Schaefer said.